Have you ever used the Open Clip Art Library or the Open Font Library? Both of those sites are powered by the Aiki framework, which was used with openclipart.org as its primary target. 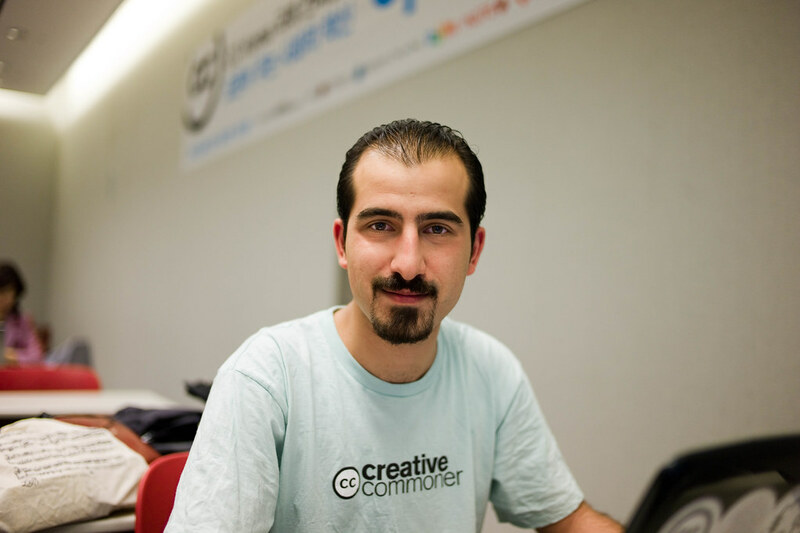 The main developer behind Aiki is Bassel Khartabil and he is in need of our help, being detained in Syria. On March 15, 2012, Bassel Khartabil was detained in a wave of arrests in the Mazzeh district of Damascus. Since then, his family has received no official explanation for his detention or information regarding his whereabouts. However, his family has recently learned from previous detainees at the security branch of Kafer Sousa, Damascus, that Bassel is being held at this location. Myself, I have little faith (none at all in fact) in dictatorships like the Syrian one but I signed the petition, think is a worthy cause and invite you to join. Solidarity is the best thing we can have in such situations. I didn't knew Bassel directly, we exchanged mails on the OCAL mailing list, but I used his work, both as an contributor and used of both OCAL and OFL. But even if I didn't knew him, for crying out loud, he was detained 4 months ago and nobody, not even his family, have any info. That's not acceptable.